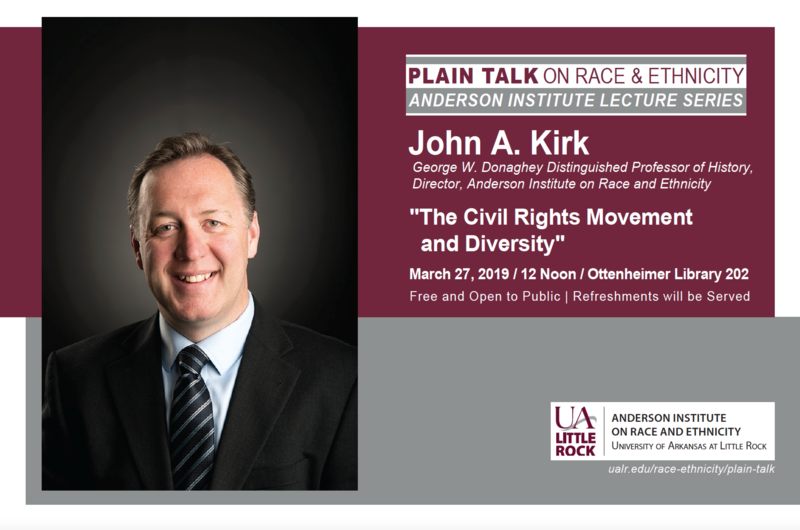 UA Little Rock’s Anderson Institute on Race and Ethnicity will host the next Plain Talk Lecture Series on Wednesday, March 27, at noon in Ottenheimer Library 202 as part of the university’s ongoing celebration of Diversity Week. 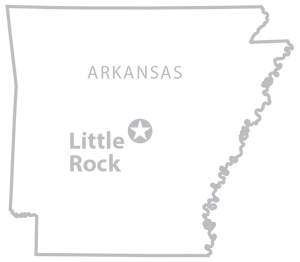 Presented by Dr. John A. Kirk, Distinguished Professor of History and director of the Anderson Institute, the lecture will examine themes of the civil rights movement and diversity. First, it looks at the civil rights movement’s litigation and legislation that laid the legal foundations for greater diversity. Next, it examines the discussion and debates that took place within the movement that gave birth to concepts such as identity politics and intersectionality. Third, it explores the movement’s culture and rhetoric that often formed a template around which other minority and marginalized groups mobilized. Last, it assesses the role that whites have had and continue to play in diversity debates in the United States, and how that has shaped American politics over the past century. The lecture is free and open to the public. Refreshments will be served.